I love horror films. I never like to watch them alone, but I just love the whole feeling of not knowing what’s around the corner and the build up of suspense makes them an exhilarating watch. I know this is going to sound ridiculous and an obvious point to make, but when I watch a horror film it’s a completely different feeling to watching anything else. Good horror films especially, they just seem to stay with you for a long time after it’s over. The most frustrating thing though, is that it is so hard to find a good horror film these days. When I say good, I don’t just mean a film that is able to make you jump because really that is the very least you expect when you sit down to watch one. A horror film that doesn’t make you jump would be like a comedy that doesn’t make you laugh. The whole film is geared towards trying to scare you, so if it fails to even do that then, well, it will have fallen at the first hurdle. No, what I mean by a good horror film is one that doesn’t just scare you, but one that really gets under your skin and makes it impossible to think about anything else. It has to have a strong storyline, great acting, it shouldn’t be predictable, there should be twists and turns along the way and just when you think you have figured it out, it should make you think again. 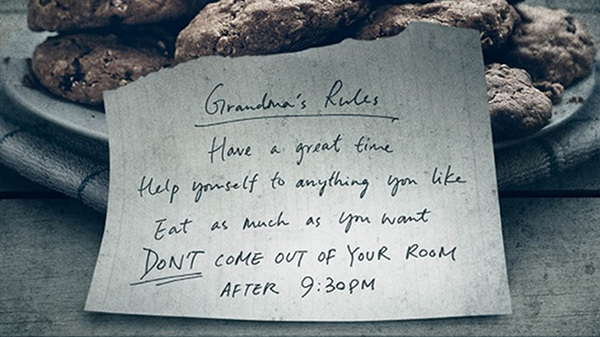 I don’t think M. Night Shyamalan’s ‘The Visit’ will tick all of those boxes, but the trailer certainly draws me in and shows some promising signs. The story sees two young children visiting their grandparents and soon things begin to turn sour. The first thing this film has going for it is a creepy old woman. There’s something extra scary about a creepy old woman and I’m not quite sure why that is. More cause for optimism can be found by way of the producer, who also worked on ‘Paranormal Activity’ and ‘Insidious’. The latter of which I am a huge fan of. I recently saw the third instalment and was very impressed. M. Night Shyamalan has a chequered past with some hits and misses. ‘The Village’ and ‘The Sixth Sense’ were fantastic, the latter scoring him two Oscar nominations. However, 2013’s ‘After Earth’ starring Will Smith made a loss and ‘Lady In The Water’ caused many critics to label him an egomaniac and a charlatan. He also won Worst Director at the 2011 Razzie Awards for ‘The Last Airbender’. So it really is almost impossible to predict which way his latest offering is going to go. I for one sincerely hope that ‘The Visit’ turns out to be a hit rather than another miss.